Who Should Inspect Your Lubricated Machines? Perhaps you’ve heard that machine reliability is everyone’s responsibility. In a general sense, this is very true and needed. We should all keep our eyes alert to issues, large and small. We should propitiate an inspection and proactive maintenance culture. Inspection is largely about relentless and purposeful sensory observation. Any competent and responsible person near a machine can and should serve as the inspector of the moment. It’s not just about the machine. There are five inspection operating states, as I discussed in a previous column. Take machine parts, for instance. They frequently are staged in warehouses or on shelves and pallets near operating machines and other active work areas. Sooner or later these components become an integral part of the machines or machine trains where they are intended to be used. Inspection is a cradle-to-grave process, including all the parts that build to a complete and functioning machine or train. Whatever impaired state or condition the part sustains or is exposed to eventually will be transferred to the operating machine. Even the smallest components that are infected with issues can metastasize and impart hazards and destruction to operating process lines and beyond. It’s not the cost of the repair but rather the cost of lost production that matters, often at many multiples of the repair cost. Still, due to the potential consequences of failure, inspection requires responsibility and accountability. I’ve previously discussed the need for an inspection plan that outlines the role and skills of the inspector. The tasks of inspectors are broad and, in many cases, also difficult. Each task, as defined in the inspection plan, requires a corresponding skill set. The skills must match the tasks, not generally but specifically. Each inspector should qualify his or her actual inventory of skills to the required skills defined by the tasks (and procedures). Gaps in these skills must be closed by training or perhaps by means of a staffing change. In some organizations, the best choice for such an inspector is the machine operator. This is the person who works near the machines and is sometimes in front of the machines eight to 12 hours a day. Because of this, many operators can recognize subtle differences between normal and abnormal conditions. This is often referred to as operator-driven inspection (ODI) and is preferred by numerous organizations, such as those that rigorously follow the principles of total productive maintenance (TPM). The effectiveness of ODI is heavily influenced by the maintenance culture and the skills of the operator to take full responsibility for each element of the inspection plan. Other issues are also at play here, including machine readiness and the availability of needed inspection tools or aids. Asking operators to see what they don’t want to see can be unpleasant, tedious and at times thankless. This is where an unrelenting, inspection-intensive culture comes into play. 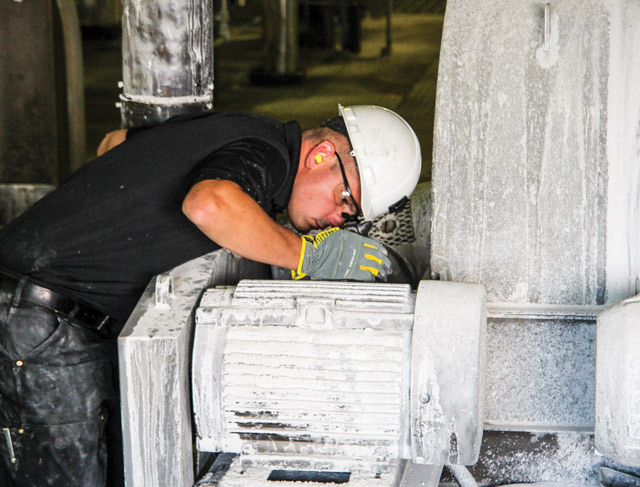 When issues are discovered, there is the need for these operators to make the case for maintenance to troubleshoot, repair or perform other adjustments to realign the machine to a healthy state. Operator-driven maintenance is like the car owner who is also the operator/driver. This is the same person who checks the oil level and tire pressure, looks for oil on the driveway, and notices strange sounds and smells. On occasion, he or she might look under the hood and check the service manual. Not all car owners are good at these inspections, but many are and accept these tasks eagerly. The industrial and commercial assets of large organizations are increasingly running a lean staff. This can stretch operators beyond practical limits in performing all the inspections needed to ensure the required level of reliability and safety. In such cases, the responsibility must be shared or completely delegated to skilled full-time inspectors. Some inspectors may be specialists who work full-time in all or certain disciplines of condition monitoring. The inspector might also be the resident expert who only does inspection routes. The advantage here is the ability to have more rigorous training and continuous practice. 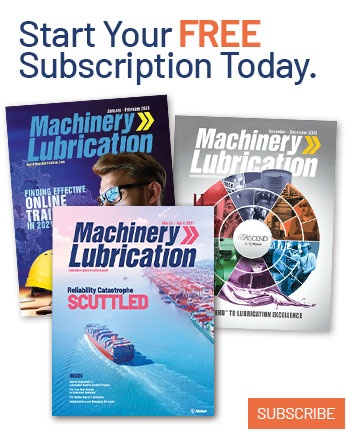 Combine broad and deep inspection knowledge with a linguistic understanding of other condition monitoring technologies (e.g., oil analysis, vibration, thermography, etc.) and the value of the expert inspector can be enormous. Inspection expertise can be both horizontally and vertically integrated. Horizontal integration is another way of saying cross-disciplinary inspection. Inspector knowledge would include skills involving many technical disciplines relating to lubrication, tribology, oil analysis, mechanical machine design, electrical, instrumentation, safety and operational inspections. This is the inspector jack-of-all-trades, also known as a generalist. 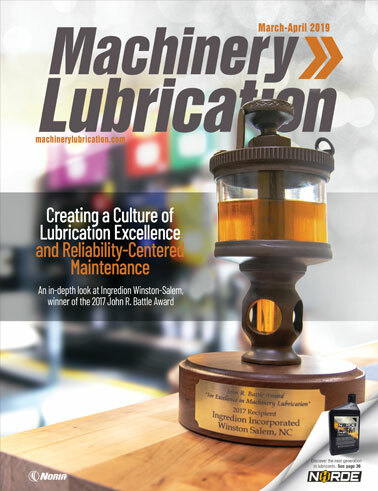 Frequently, it makes little sense to conduct one survey for lubrication followed by a similar inspection for electrical systems on the same machine. 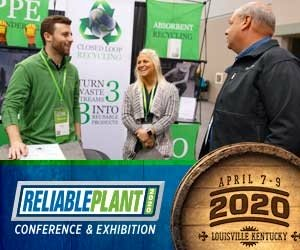 If your plant has different maintenance planners for different maintenance functions (mechanical, electrical, production, etc. ), inspections can easily be divided once the information has been gathered. The critical path is obtaining good data and all the data. However, be wary of the weakest link. Some inspectors may be proficient with mechanical assessments but guess at other disciplines like electrical systems and instrumentation. Ultimately, you seek skillful and dependable completion of the entire inspection plan by one or more inspectors with the time, skills and resources to perform their tasks. Cutting corners usually proves hazardous. Vertically integrated inspection deploys deeper subject-matter expertise in the field of inspection. Even this is difficult to achieve considering all the possible inspection disciplines across the various types of machines found in large industrial plants. Vibration analysis, oil analysis, acoustics analysis and infrared thermography each have an extensive education curriculum with corresponding certification testing requirements. These are professional career paths that are recognized by ISO 18436 with three levels of competency (Category I, II and III). Sadly, as of this writing, no equivalent curriculum or competency testing is available for inspection technicians and inspection analysts. That is soon to change as Inspection 2.0 gains traction in the world of condition monitoring. When defining the inspection technician, think of these individuals as specialists with Category I or II credentials in the field of inspection. They have the skills to perform numerous inspection tasks on many machine types. They also have above-average subject-matter competency in other ancillary inspection tasks and methods. Inspection technicians are people who perform regular inspection routes and practice extensively in their field. Inspection analysts can be defined as resident experts with deep subject-matter knowledge and experience across many disciplines (mechanical, electrical, instrumentation, safety, etc.) on inspection tasks and methods. Inspection analysts do not have job cross-functionality. They also are not operators, mechanics, electricians or lube techs. Access to this degree of inspection knowledge is the essence of Inspection 2.0. Inspection analysts are trained, certified and have extensive experience performing inspections. They have the ability to see what others cannot. They don’t just look or hear but rather examine carefully and probe further. They also have a good toolbox of needed inspection aids. They possess encyclopedic knowledge on various inspection subjects as well as the other technical areas of condition monitoring. And, they know what goes on within the exoskeleton of the machine being inspected. Effective inspection analysts are hired guns or resident experts who can be called in to assist in troubleshooting efforts. Alternatively, they can be deployed to perform inspection routes on machines designated as high criticality or are known bad actors. An inspection analyst is a certified Category III inspector. All large industrial plants should have at least one inspection analyst on staff.